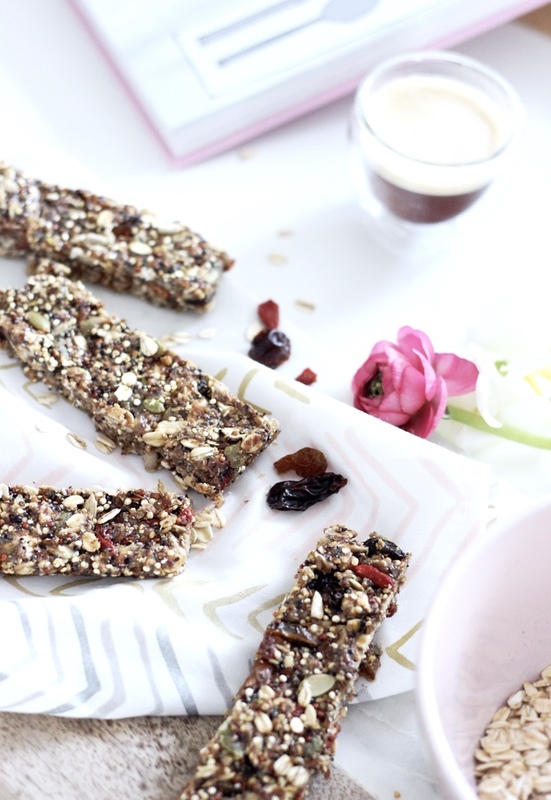 These are the ultimate energy boosting, superfood snack! You guys, I can't stop eating these bars. First of all, you should know that I am a huge granola fan. I would eat it every day if I could keep it around long enough. I'm just a huge nut and seed lover, so when I saw this recipe on Ambitious Kitchen I literally jumped to the pantry. 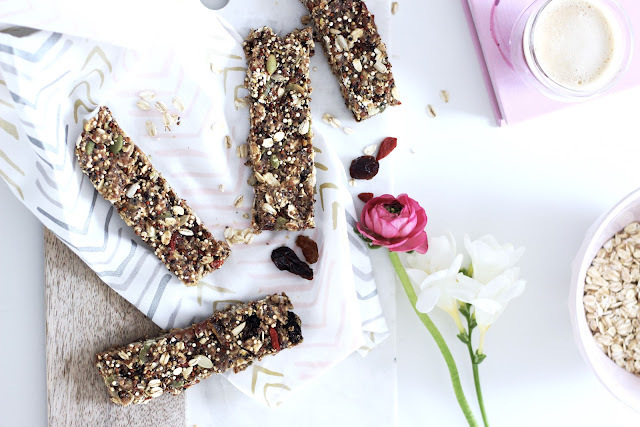 Make these easy, energy boosting almond butter, sunflower seed and goji granola bars tonight! They are so incredibly easy to put together and if you don't count toasting the seeds they really are a no-bake. I urge you to make these as soon as possible. 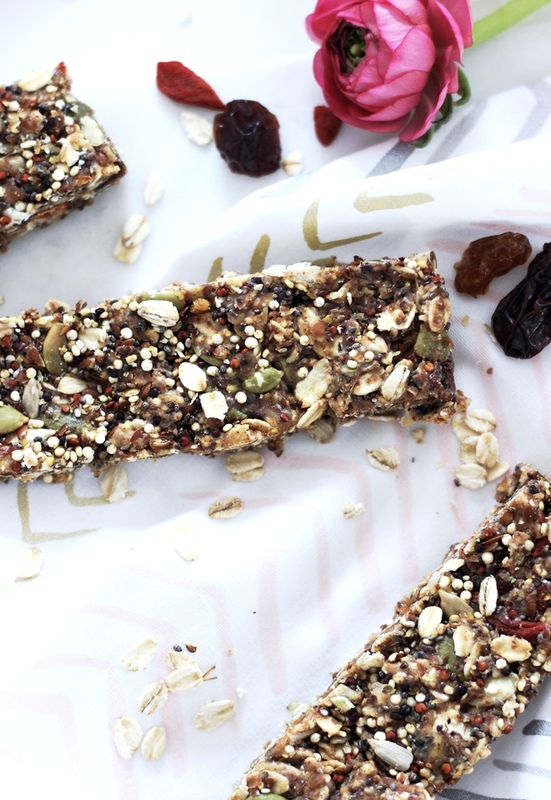 They are the ultimate superfood bar and you know exactly what is going into them. 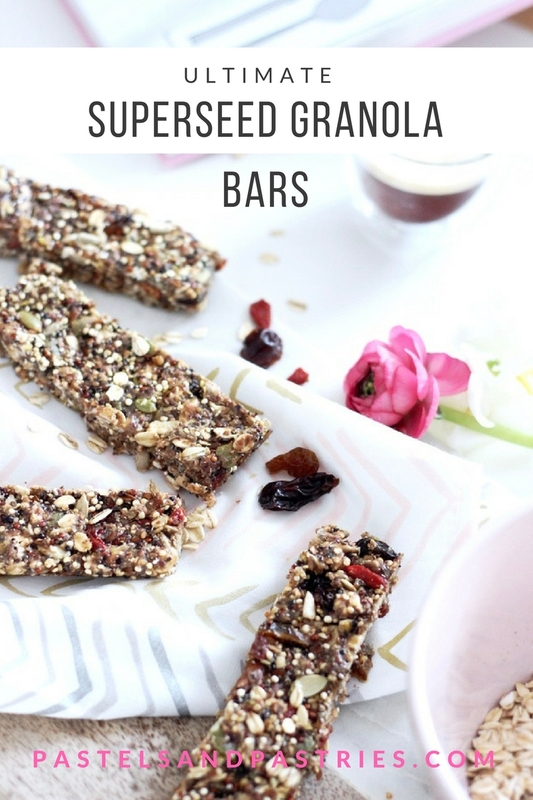 Later grocery store bars with added sugars and weirdo ingredients! I like to enjoy these at room temperature! Get ready for a seriously delicious and good for you burst of energy with these little ones.